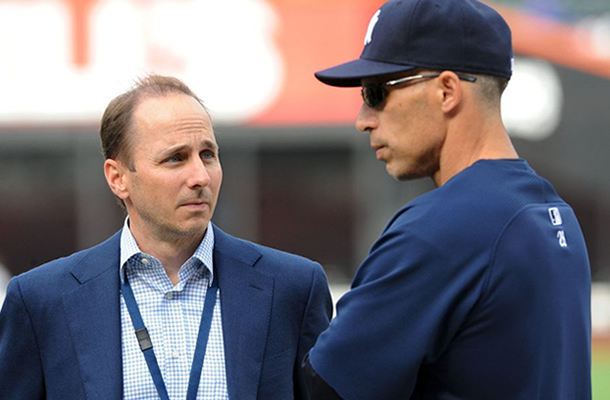 As we head toward the all important August 1st trade deadline, the New York Yankees find themselves in the strange position of being potential buyers or sellers. As of this writing, they are hovering around .500 and 4.5 games in the loss column behind Toronto for the second wild card spot. As a result, they face a major decision: do they try to make a run at a playoff spot? Do they sell off veterans and build for the future? Do they sit tight and hope what they have is enough to make it to the playoffs? Here at Jobusrum.com, we have developed a list of categories to give you a glimpse into what the Yankees may be thinking in terms of the trade value of each of their players. Please keep in mind that while we are 100% right in our assessments, it is possible the Yankees disagree, which would make them wrong but also account for them potentially acting in a different manner than what we are laying out. Hat tip to Bill Simmons, from whom this idea was loosely borrowed. Category One: No Chance…..No Chance In Hell!!!!! Whether or not the Yankees decide to try to make a run, they must understand that while trading marginal prospects may be ok, the future should not be sacrificed. This means Aaron Judge, Jorge Mateo, Luis Severino, Greg Bird, Gary Sanchez, and of course, Dellin Betances should be absolute non-starters. Short of acquiring Mike Trout and Clayton Kershaw, this team isn’t going to be good enough to win a championship and management needs to be smart enough to understand that and not do anything foolish. In other words, no more Jay Buhner for Ken Phelps deals. Nobody wants to hear Frank Costanza screaming at the top of his lungs again. Andrew Miller is the reigning AL reliever of the year and is having another excellent season with 74 ks, a 0.7 WHIP, and an ERA + of 294 in 43 innings as a closer and setup man. With two years left at $9 million per, the left-handed fireballer is a steal who should only be dealt for the proverbial “offer you can’t refuse.” Basically, anything short of Kyle Schwarber or floor seats to a Beyonce concert (that view is priceless) and he should be kept. Masahiro Tanaka belongs in this category as well, as the 27-year-old is putting together another ace level year and is a relative bargain at $22 million next season. I can’t believe I’m saying this since I founded a club two years ago dedicated to making jokes about how bad he is, but Didi Gregorius, who at 26 is having the best season of his career, should also be kept unless an irresistible offer comes along. Carlos Beltran is a free agent at the end of his contract and is having a terrific season. The Yankees don’t NEED to trade him, but they are not going to re-sign him, so if he can draw a high level prospect, he should be dealt. Brett Gardner and Starlin Castro have team friendly contracts and despite being very erratic, they are solid players and valuable pieces. The Yankees should not feel pressure to do anything with them but they ought to be traded if a good deal is offered. The same holds true for Aroldis Chapman. As much as I love the guy and often dream about us being best friends and hanging out at the mall together, if the Yankees have decided to let him walk at the end of the season instead of re-signing him, they should see what he could fetch in a trade. Category Four: Sure, Why Not? Brian McCann is a stabilizing presence, a good hitter for a catcher, and apparently the ultimate water cooler bro. But he’s underperformed this season and with Gary Sanchez almost ready to go, if a contender thinks he could help, why not trade him? CC Sabathia will have another expensive year when he picks up his player option, but he has pitched better this season and could be worth something on the trade market. There are complications to any potential Sabathia trade, since he can veto any deal as a 10-5 player and the Yankees would unquestionably have to pick up part of his 2017 salary and the cost of his Captain Crunch supply, but if a decent prospect is offered and those hurdles can be overcome, why not trade him? It should go without saying that if the Yankees can dump Alex Rodriguez, or the albatross that is Jacoby Ellsbury ‘s contract, they should do it before the team making the offer returns from their LSD trip. Do not pass go, do not collect $200. Chase Headley is an excellent defender and a well-liked teammate, but let’s be honest: he stinks and should be moved if anybody is dumb enough to take him. Mark Teixeira will be gone at the end of the year, and if anybody actually wants him, he should be gone even sooner. I’ll pitch in myself and save the team trading for Teixeira cab fare by driving him to the airport. Ivan Nova and Nathan Eovaldi are marginal pitchers at best, but it is possible they could be viewed by a contender as decent back-end starters or long relievers. Michael Pineda strikes out a ton of batters but can’t seem to stop giving up runs. If any of those three can net the Yankees anything, they should be moved. Aaron Hicks is still on this team? Hicks should probably never see the field again unless 30 other people get hurt, but if somebody actually wants him, the Yankees should take any offer this side of a pack of Trident and go celebrate their good fortune with a steak dinner at Peter Luger’s.